Having a rustic wedding? 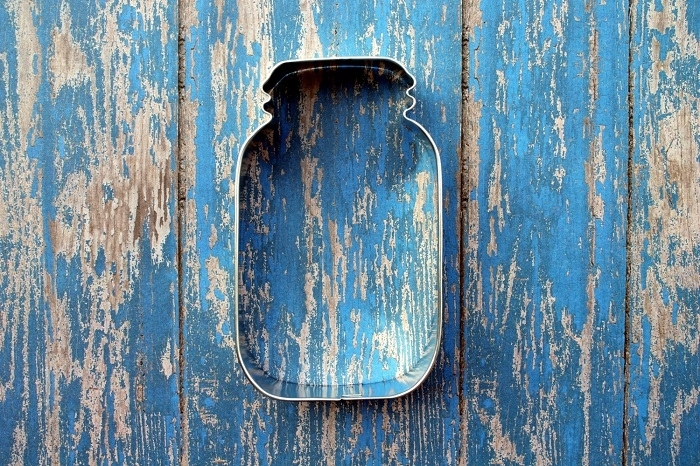 We’ve found 12 great pieces from Etsy oozing with rustic charm! 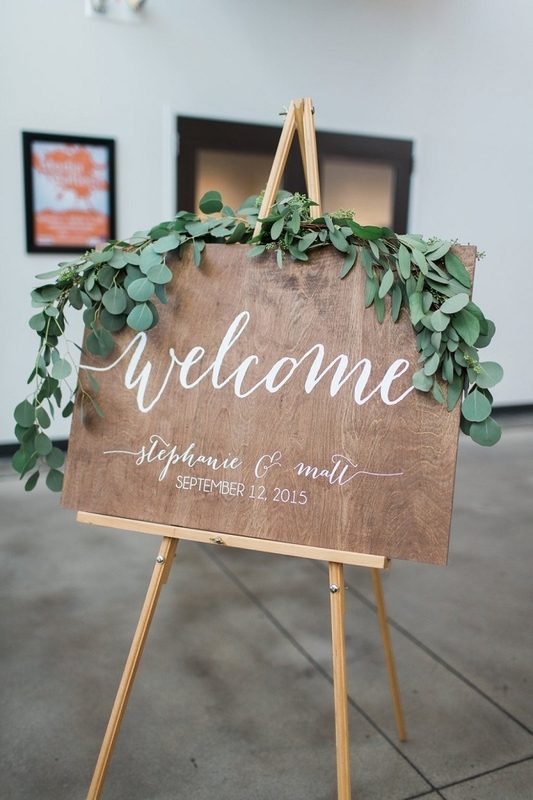 Finding a great sign like this rustic wooden welcome sign from PaperandPineCo is the perfect way to introduce your guests to your theme. What would a rustic wedding be without mason jars! if you are looking for a unique way to incorporate this staple into your big day, why not give out these mason jar shaped cookie cutters from MoosesCreations as favors? Or you could use these cookie cutters to create cool mason jar shaped cookies with your initials on them! 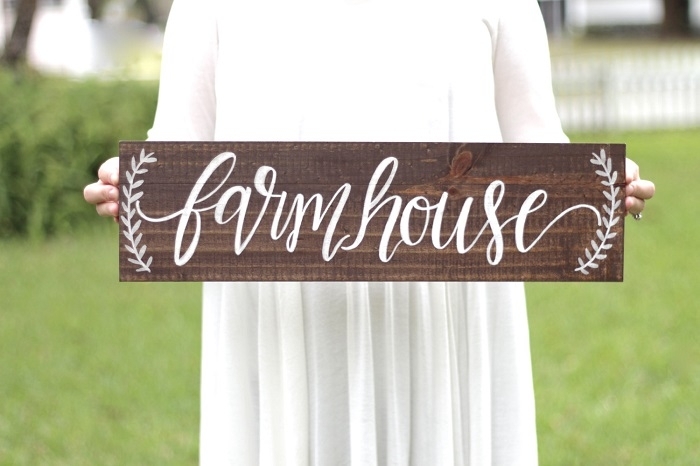 This rustic, wooden farmhouse sign from ThePaperWalrus is a way to tie in the country part of a rustic theme, but in a sophisticated way. 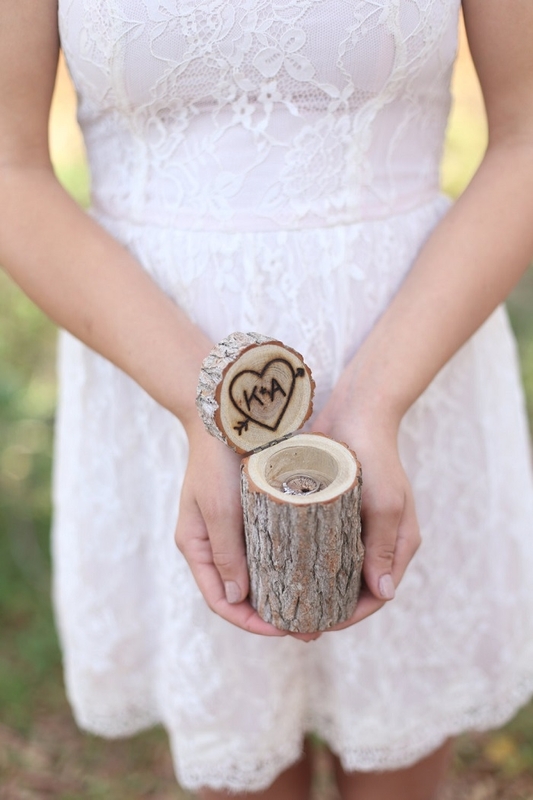 If you are looking for a unique alternative to a ring bearer pillow, we recommend this rustic, wood, personalized, ring bearer tree stump from braggingbags. 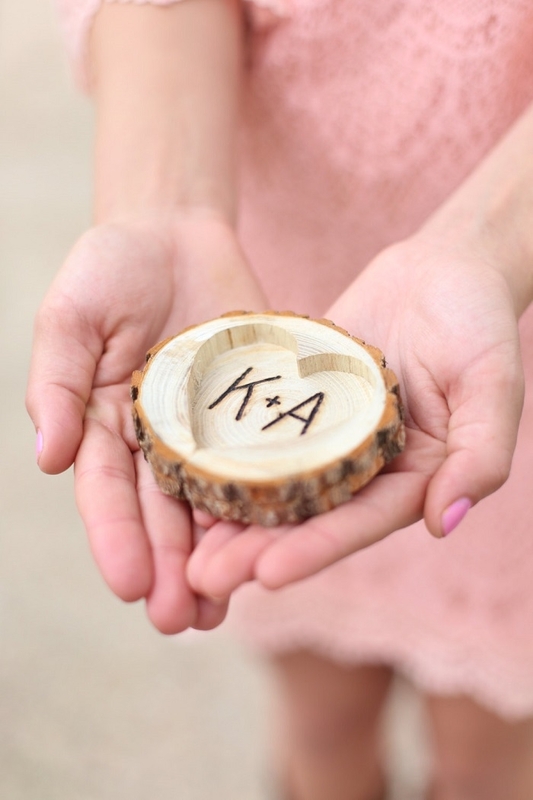 We also love this personalized, wood ring bearer pillow box from braggingbags. 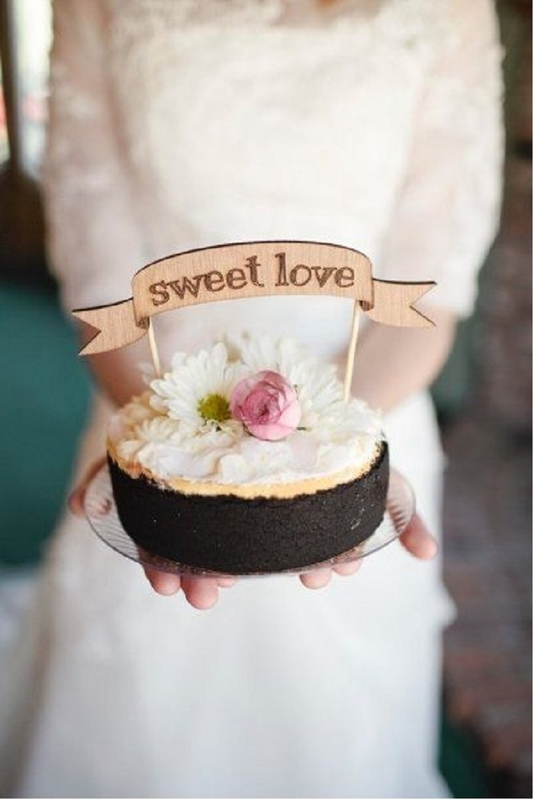 The little touches throughout your wedding decor are what can really bring the rustic theme together. 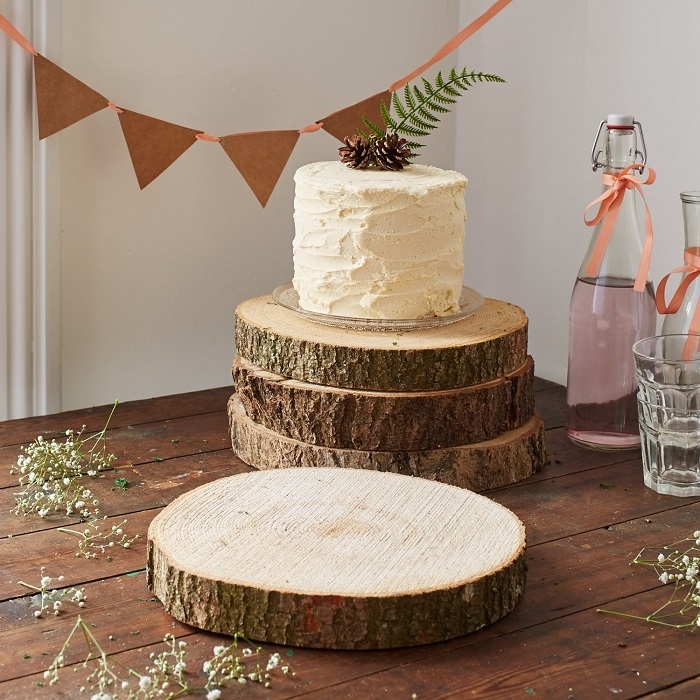 These wooden oak log slices from TheLetterLoftUK would look charming as a cake holder or used in your centerpieces. Are you looking for a save the date that stands out from the typical paper and ink varieties? 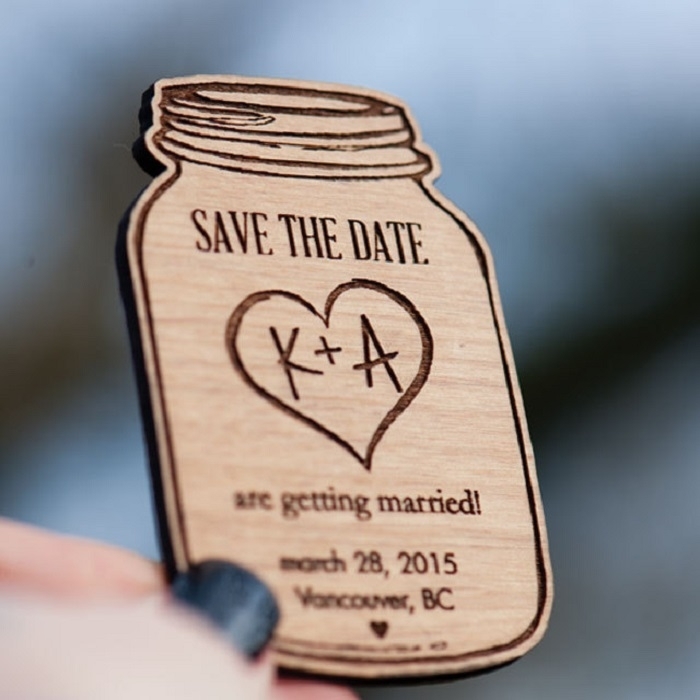 We suggest these mason jar shaped, wood, magnetic save the dates from StylineDesigns. 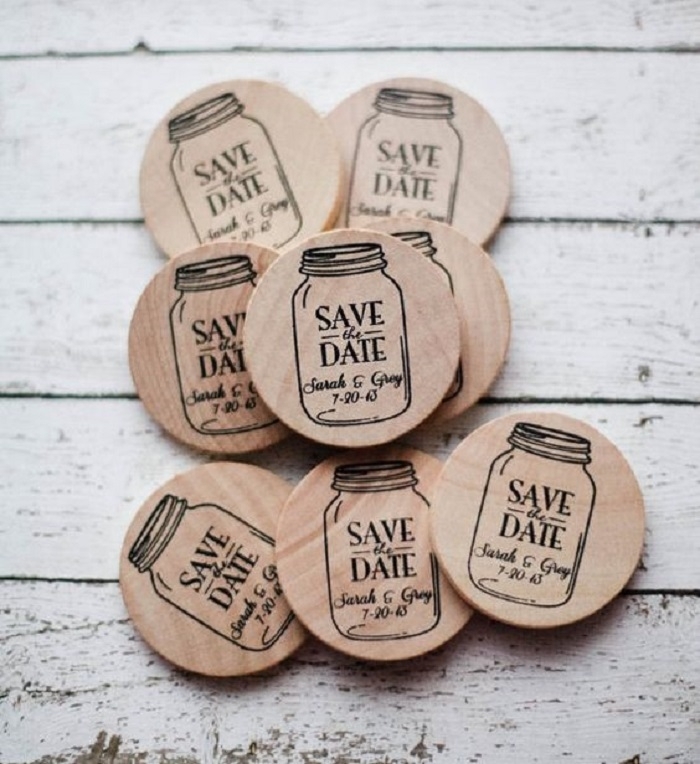 Another magnet and wood option that conveys that rustic theme unquestionably are these round, wooden save the date magnets from RedCloudStudio. 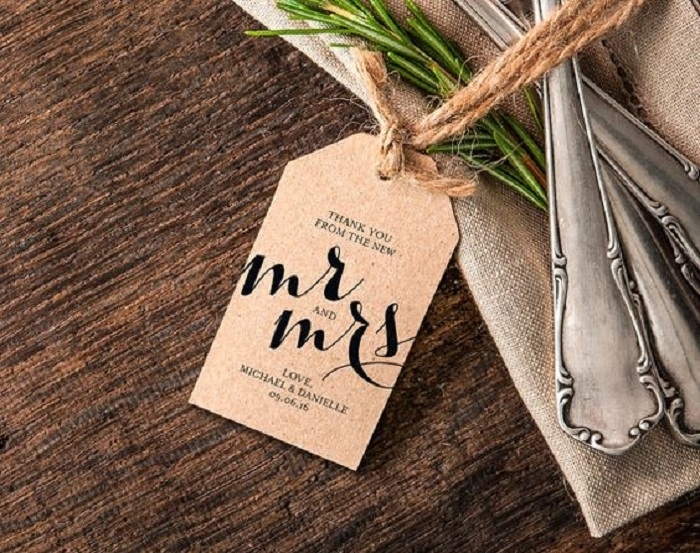 These rustic, personalized thank you tags from BlissPaperBoutique are perfect way to add a rustic touch! 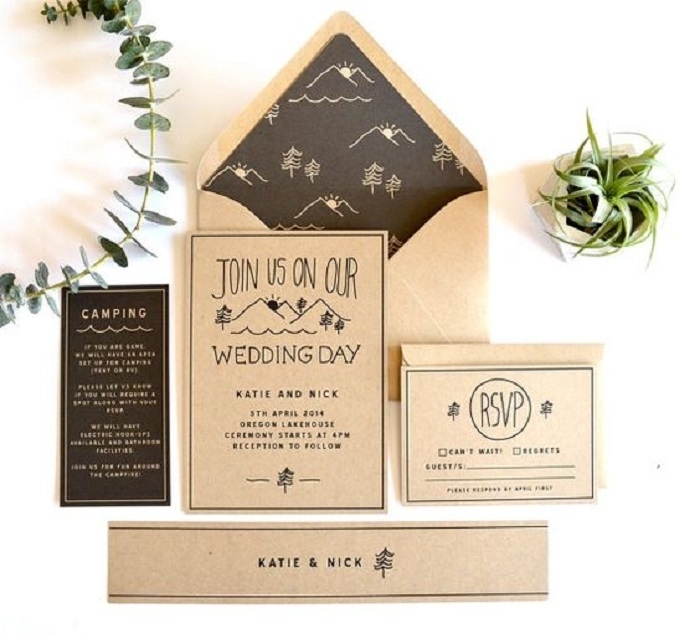 These rustic wedding invitations from DAYDREAMPRINTS scream rustic in a fun, cute way! This banner wedding topper from BetterOffWed is a perfect mix of fun and sophistication with that exact dash of rustic that brings it all together. Looking for the perfect sign for your gift table? We’ve found it! 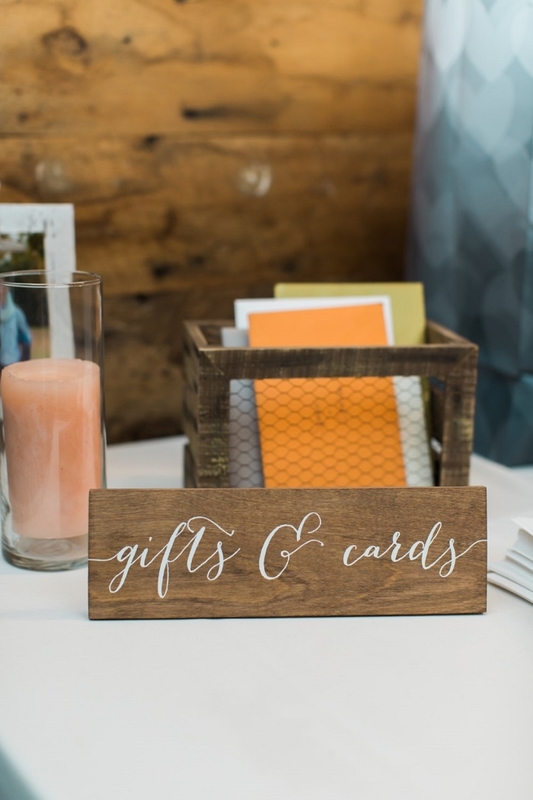 This elegant and rustic card and gifts sign from PaperandPineCo fits in perfectly with the rustic theme.